Check it out, guest blog number 2!!! Squeeaal! So I was struggling to think of a topic to write about and after much deliberation I’ve decided to share my own A-Z of running and here it is…..Enjoy! A is for Almost There! This is the really funny and witty expression NON-runners like to yell at you at mile 1 of 26. It’s not funny at mile 1, 3 or 5. Nor is it funny 1.5 miles from the finish line! B is for Bling. 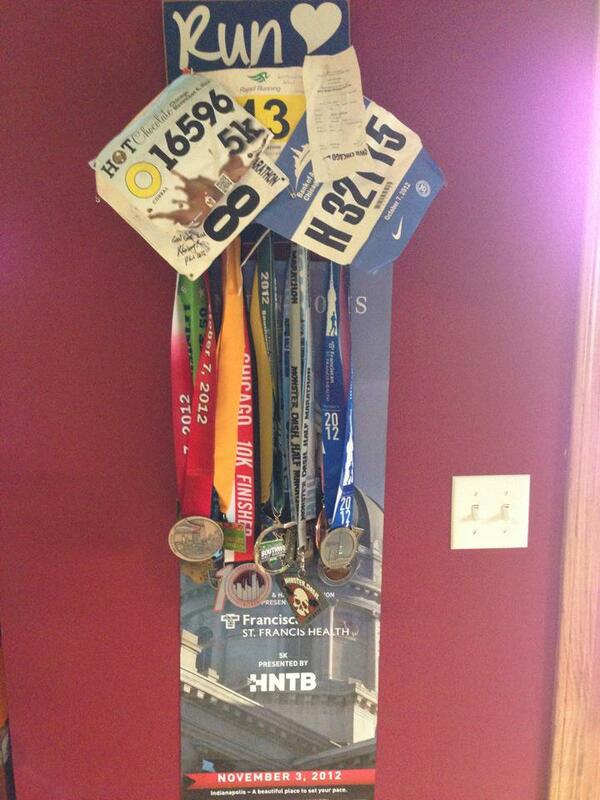 I don’t like races where you don’t receive a medal because I am a medal whore. So I am forced to run long in order to receive a disc on a ribbon(yum). Also see Medal. C is for Course. I have a policy not to look at the course before the race; I don’t want to be scared off by knowing there’s hero hill at miles 2,3 and 10. My motto is ignorance is bliss. D is for Downhill. This is the direction I prefer to run. E is for Expo. Man can Kelly work an expo. Discounted race gear, freebies, races to sign up for….love love love an expo and my favorite this year was the Indianapolis Monumental Marathon Expo – fun times. F is for Freebies. Mel Diab at Running for Kicks always gives away the best freebies in his race bags. Love it! G is for Gu. I hate the slimy stuff. I understand it helps and I force one down every 5 miles or hour whichever comes first(hour). But I really really really can’t stand them! H is for Heat wave. This year I chose to run the Chicago Marathon which meant training through the summer heat wave. It totally sucked! J is Jelly Beans. 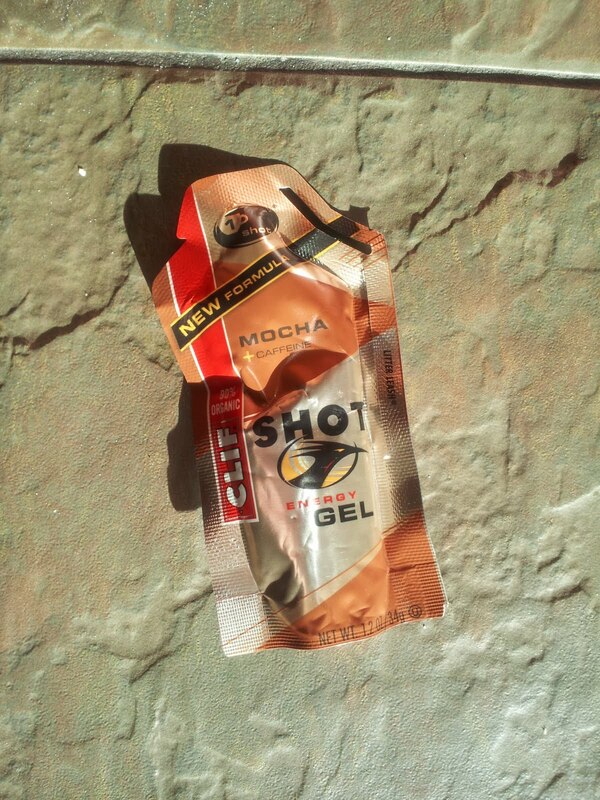 Another way to achieve the sugar rush high at mile 14. I like Caffeine free sports beans otherwise I cant sleep if I drink caffeine no matter how shattered I am. K is for Kelly. An awesome friend who helped pace me at the Indy Marathon. If you need a pacer she is reasonably priced. Contact her agent first though (me and I take 12 percent). L is for Laces. I recently tried some laces, which you didn’t have to tie. Hated them!! M is for Medal. I love medals so much I thought they deserved two mentions J Also see Bling. O is for OhMyGod are we there yet. This is usually my mantra 2 miles from the finish. Q is for Queen. 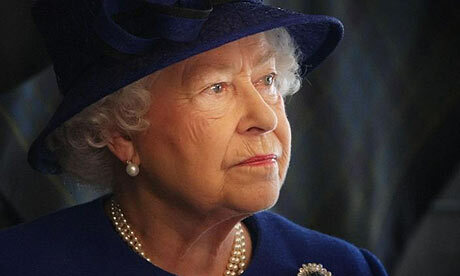 I’m pretty certain the Queen in England doesn’t run. T is for Tights. I do not look attractive in running tights. Some runners look amazing in theirs and I’m really jealous!!!! V is for Vegetables. I need to eat more, then I'll lose weight and run faster! W is for Walking. I seem to gas out at mile 7, which is a bit of a concern if I am running a half marathon, or further. If I start to walk at this point there’s no way in h*ll Ill start running again. X is for Xylophone. I used to have one when I was little I miss it! Y is for Yoyo dieting. What can I tell ya? One day I like chips the next I like chocolate! That’s my yoyo diet. Z is for Zebra crossing. In England we call the pedestrian path to cross the road a zebra crossing. This is because it has black and white stripes on the ground and not because we have free-range zebras roaming England! At least not when I lived there! Yes, you need to start a blog Jenny!